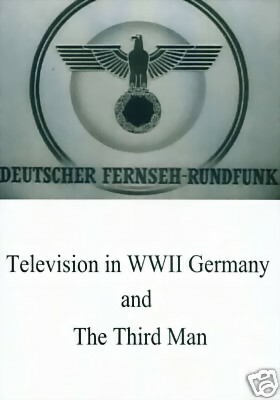 Outstanding and very interesting uncovered footage, long buried in East German archives, confirms that television's first revolution occurred under the Third Reich. From 1935 to 1944, Berlin studios churned out the world's first regular tv programming, replete with the evening news, street interviews, sports coverage, and interviews with officials. German technicians achieved remarkable breakthroughs in televising live events, including near instantaneous broadcasts of the 1936 Olympic Games. At the same time, the demand for continuous programming opened up camera opportunities far less controlled, and more candidly revealing, than the government would have liked. Television in WWII Germany proved a major disappointment. But its surviving footage offers an intriguing new window onto Hitler's Germany. (55 mins., in English and German with English subtitles. Very good quality).